Tanzanian music has now grown to capture the attention of the world as we have musicians who are now competing in the international level, fighting nail and toe with the best of the best out there. Making collaborations with the greatest in the music industry, shooting best videos with the best directors.. Believe it or not we are now known and our music has been recognised. But, we have one problem which is undermining our music to move more steps from where we are right now, and that problem is Beef. We have seen beef between arts, beef between fans and lots more..
Its obviously that Diamond Platnumz and Alikiba are now the best and making headlines with their music but the two cant sit on the same table. We must ask ourselves WHY? Why cant they support each other like what the Nigerians do? I think, Diamond and Alikiba should Learn from Nigerians Wizkid and Davido. WizKid and Davido are among the top celebrities and Nigeria’s finest pop stars. Back in 2014 they had 'beef' of the year. Wizkid and Davido. Their beef got worse in July 2014 with a series of online rants and insults aimed at each other. But it all went away, with just a round table meeting and it’s all good now. why cant our artist follow their examples..!!? Davido now supports wizkid music and wizkid is doing the same and all that is for one reason to make their music reach to the top. Davido in a recent interview, said: ‘It’s all good now, some rich men brought us together and it’s finally resolved. It’s officially resolved, no more drama. Some very powerful men, I can’t say their names, it was like a round table meeting and it’s all good now." 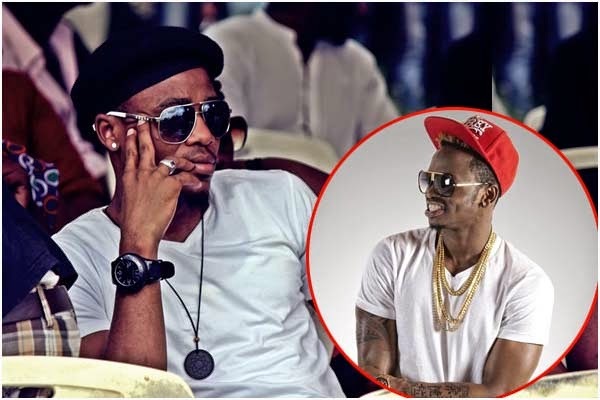 Well, I would like to see Diamond Platnumz and Alikiba supporting one another, making big hits together..!! Promoting their music together and make our country proud and known to the rest of the world through music..!! I will be happy and proud to see one day in the BET Awards, MTV Awards, CHOMVA and other Awards filled with Nominations from Tanzania. It’s all possible, just like Davido and wizkid were united even Diamond and Alikiba can resolve their differences and become friends and creates good music. If Davido and wizkid were united by rich men’s who loves their music why not Diamond and Alikiba? I think it’s time to call a round table meeting and put an end to these madness going between these artist for the sake of making our music reach to the rest of the world. Are you a fan of Diamond or Alikiba? Are you a fan of both of the artist? Well, what you think about the idea of the two to be united and resolve their issues... Leave a comment bellow..